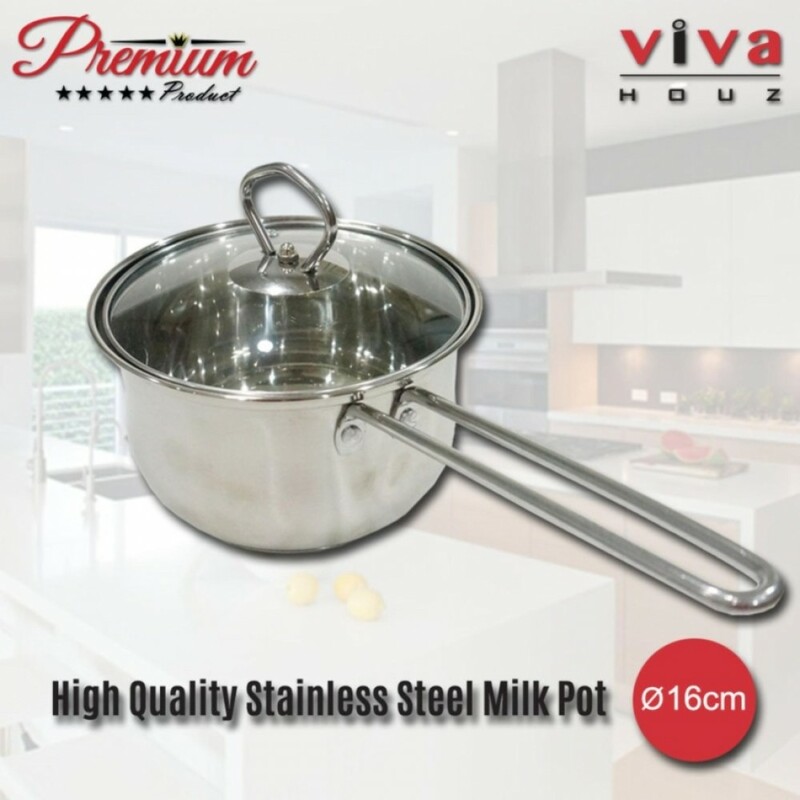 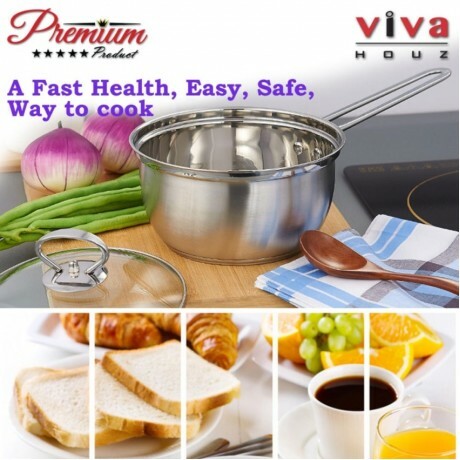 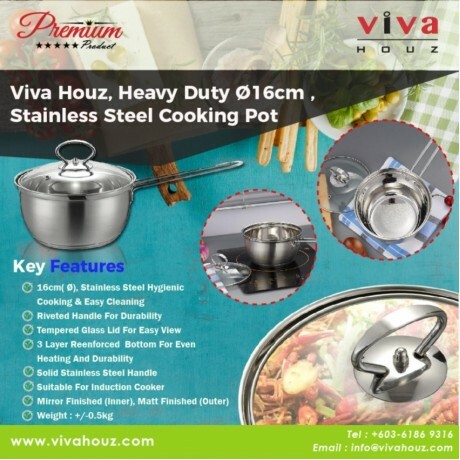 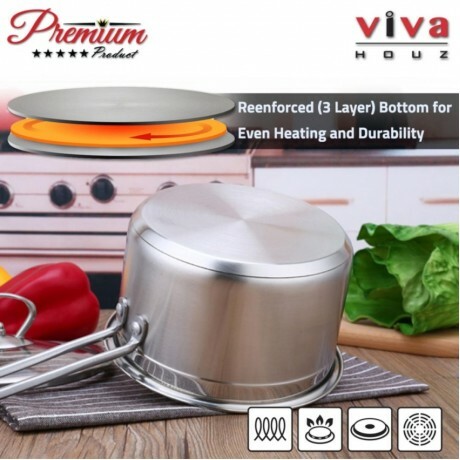 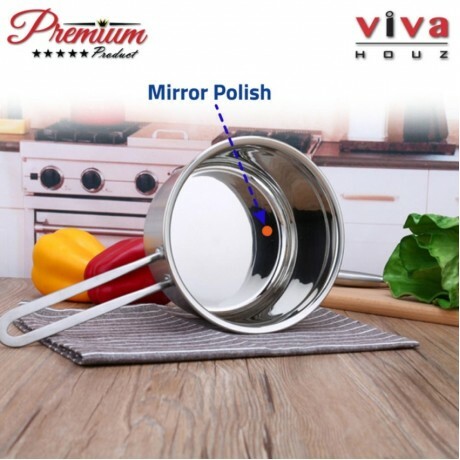 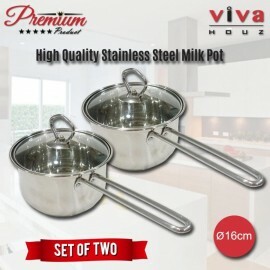 Viva Houz, Ø16cm Cooking Pot With Tempered Glass Lid is made of high quality material, with reenforced three(3) layer bottom for even heating & durability. 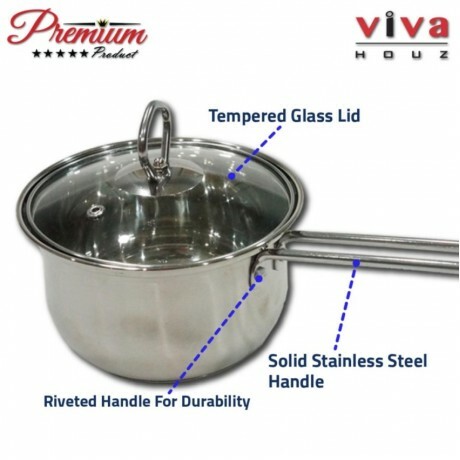 The handles are made of solid stainless steel, and they are riveted to the body for both durability and style. 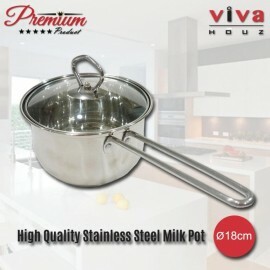 A well-made pot for your kitchen needs for many years to come.